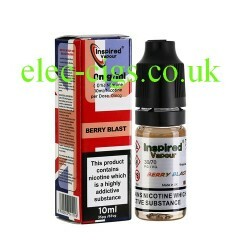 Berry Blast 10 ML E-Liquid from Inspired Vapour will leave an explosion of flavours in your mouth. Packed full of Juicy Berry that will make your mouth water but with an Cool Icy kick of Menthol on exhale. 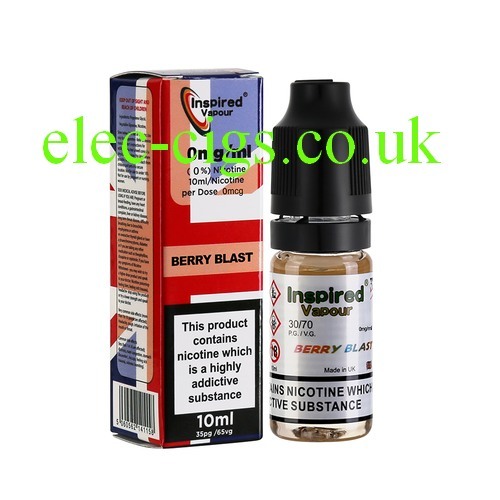 Berry Blast 10 ML E-Liquid from Inspired Vapour is nominally a 70-30 (VG/PG) mix but this can vary by up to 5%. The available strenghts are Zero mg nicotine, 3 mg nicotine, 6 mg nicotine, 11 mg nicotine and 18 mg nicotine.